Do you have a ‘Little Monster’ or ‘Monsters’ who are full of joy and would love to come along to our kids club at Marshes Shopping Centre? 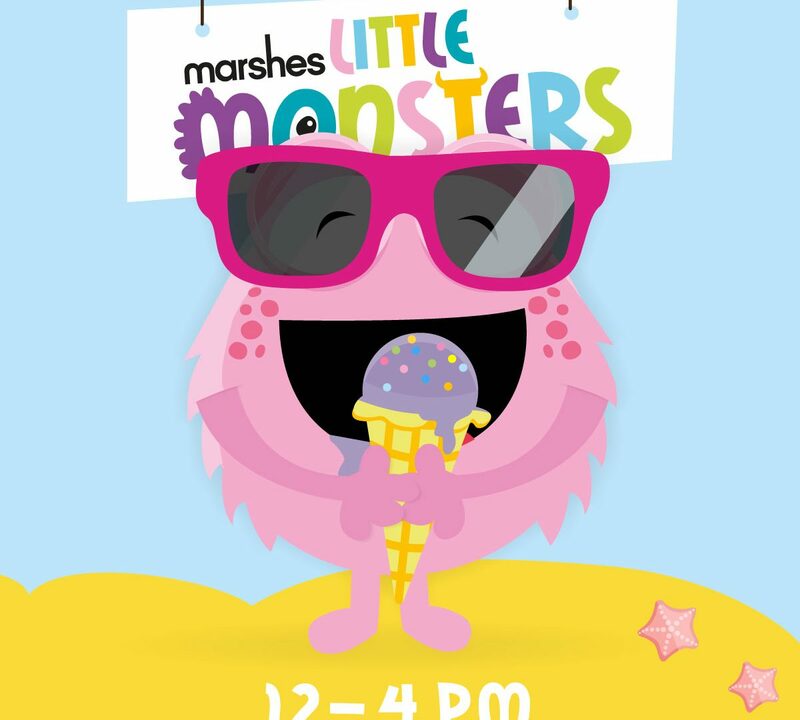 We have a very special ‘Marshes Little Monsters’ Club at Marshes every day from 12-4pm, Monday 23rd July until Saturday 28th July! Join us on 23rd July and let your monsters unleash some creativity with Brickz 4 Kids, where they can build their own creations. From Tuesday 24th July, we have the Little Monsters Carnival. Come down and enjoy some free Monster fun, with carnival games and sweetie treats for prizes. We will be joined by JoJo the Clown, plus we have some fantastic craft workshops running all week long. We hope to see you all at our Marshes Monstrous week of fun! Keep your eyes peeled on our Facebook and website for more Marshes Little Monsters events.